Each collector's sleeve in made of handsome leather that ages naturally and looks better and better each year as it wears naturally. Every scuff and scratch it gets just is proof of its rugged and experienced life. The extra thick thread is made to last and the thumb notch makes removing your knuckles easy. NOTE: Your knuckles will fit a bit tightly at first while the leather breaks in. Over time the leather will stretch and contour to perfectly hold whatever model knuckles you are using. Very happy with this case. 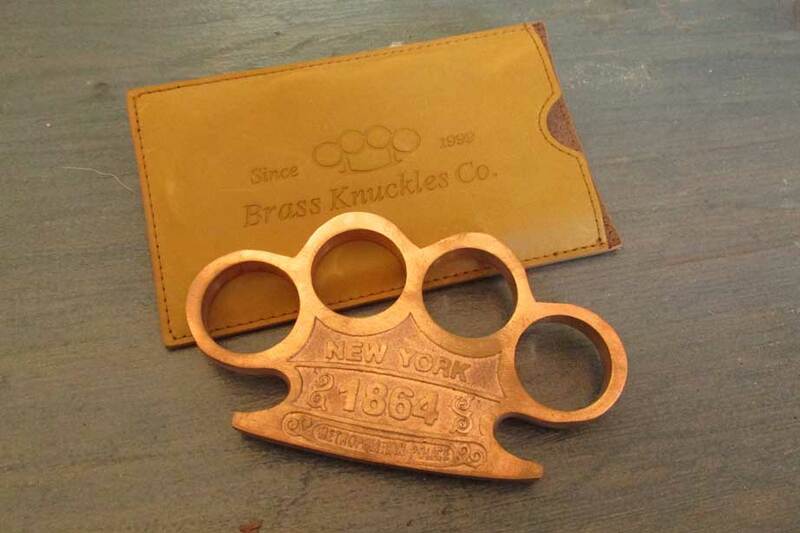 Fits my brass Knuckle perfect and will stop them getting scratched. The quality is superb nice thick leather not cheaplooking at all and the company logo on the front is a nice touch.